Home and on the go - Taking full advantage of the Switch technology, up to 4 players can play at home on their TV or in tabletop mode. The handheld mode is also available with classic button controls! 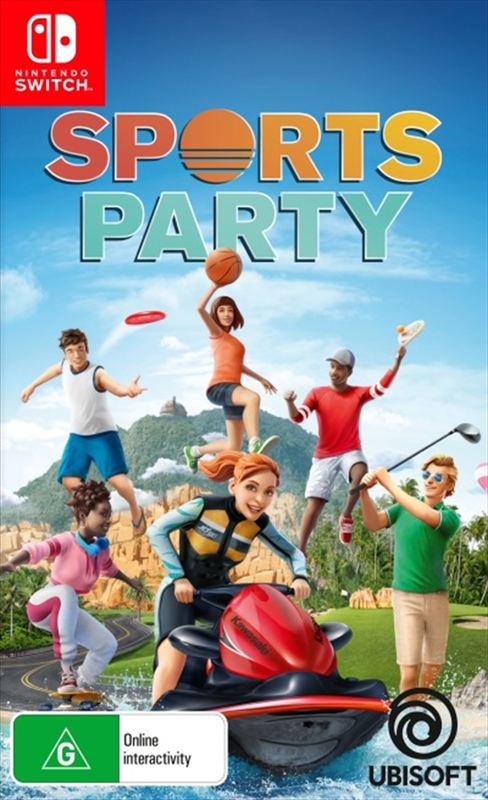 Have fun with Sports Party wherever you want! A sunny environment - Enjoy the positive atmosphere of Sports Party Island and discover idyllic beaches, the marina, cliffs and many other amazing landmarks where the crowd is waiting to cheer you on! Customisable Avatar - Customize your avatar in you very own style, from skin color and beards to tops, accessories and shoes. New items will be unlocked as you progress. Light Exercise - Have a real feel-good moment with Sports Party! All you need to do is pick up a joy-con and follow the intuitive and natural moves of the game to keep yourself active. Being healthy has never been so fun!